Leather and fabric covers are available for car seats, sofas and other furniture upholstery. Leather is usually more expensive but durable, elegant and easier to clean. On the other hand, fabric is cheaper, offers a greater variety of colors and is arguably more comfortable, especially because leather may get cold or may stick to the skin during summer. Cloth Animal hide treated with chemicals. Less durable Very durable (10-15 years if maintained well), used in rugged conditions, but will fade in sun and degrade with age. Less expensive Premium price luxury item; much more expensive compared to fake leather. More variety Less variety; most often shades of black and brown, sometimes white. Hard to clean Higher maintenance, requires treatment to prevent aging. Usually yes; depends on material In 50 years. Couches and seat covers Automotive interiors, furniture, jackets, work boots & gloves, handbags, shoes. None Factory farming, use of chemicals in production. Leather is a very durable material, but can be easily scratched. Leather is also susceptible to cracking or splitting. However, leather tends to last significantly longer than fabric before it needs replacing. Fabric tends to fade, stain and wear out more quickly. Fabric can be hard to clean if stained and may absorb odors such as cigarette smoke. It can also be susceptible to dust mites. However, some fabric sofas are equipped with removable covers that can be cleaned more easily. Leather is generally easy to clean with a damp cloth and is stain resistant. However, it does need some more care compared with fabric — it is important to keep leather clean. So if there are kids or pets in the house and you're concerned about scratches, spills, stains, mud and other such accidents that can make a mess, leather will be a better choice. Leather can be cold to the touch, and some find it uncomfortable in hot weather, as it can stick to the skin. Leather seats may also be slippery. Leather sofas are available most commonly in colors like black and chestnut; other bright colors like green, orange or yellow may also be available. But fabric sofas are available in significantly more patterns and colors than leather sofas. There is huge variety in textures, colors and materials available for fabric sofas. The characteristics of leather vary by type. For example, calf leather is supple, young cow leather is highly resistant and buffalo leather is very hard. A leather couch offers durability and elegance. 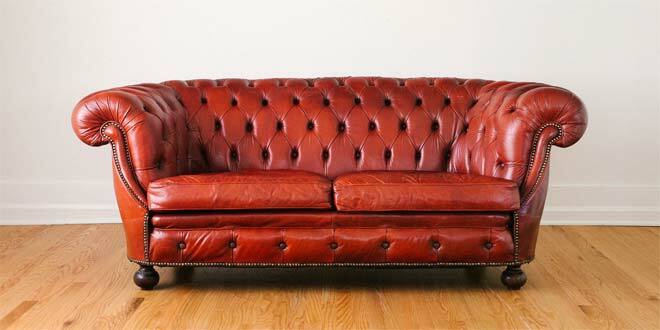 Leather sofas have an average lifetime of up to 10 years. But since leather gets hot in summer and cold in winter, it is not best suited for places with extreme climate conditions. Fabric sofas offer comfort and greater choice. 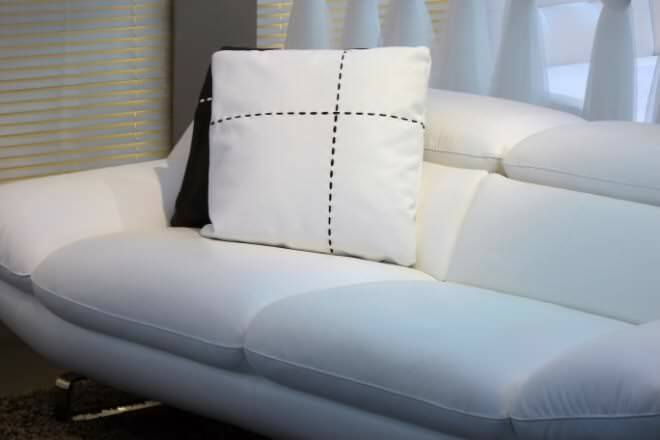 Sofas are produced using resilient materials like cotton (100%), synthetic (100%) or a mix of cotton and polyester. 100% cotton is sometimes the preferred choice because it is more resistant to dust and wear and tear. Fabric sofas are cheaper — sometimes significantly — when compared with good leather couches. Leather car seat covers offer the same advantages as leather sofas i.e. durability and elegance. But they are also crafted from treated fabric that resists UV damage, stains and mildew thereby making it a goof choice for car seat covers. Fabric car seat covers are available in different varieties like canvas and neoprene. These specialized seat covers not only offer comfort but added protection. For example, neoprene can help protect against sand or salt water. Similarly there's fabric seat covers designed to defend against pet hair. Leather is generally more expensive than fabric. For example, for car seats, fabric covers cost between $100 and $200, while leather seats can cost between $500 and $700. If you're concerned about allergies, leather is a better option. Leather does not trap dust mites, pet hair and other allergens. So leather upholstery is more hypo-allergenic compared with fabric. Choosing couches: leather or fabric?